Think about how many times Irene has been wished goodnight in song? I can safely say that it is more than any other typical name. “Goodnight Irene” is one of the most popular American Folk standards. It’s catchy repetition and melody is musically pervasive. Start singing this piece and people will join you. It’s as if it is hardwired in our mental music libraries right with “This Land is Your Land.” We have heard scores of versions of “Goodnight Irene,” but if it weren’t for the man in the picture above and musicologists Alan and John Lomax then we might have never wished Irene goodnight. Huddie Ledbetter, better known as Lead Belly, may very well be the most influential blues musician of the 20th century. His impact on future generations of musicians was unparalleled. “Goodnight Irene” was, like most traditional blues/folk songs, based on a song that predated it that was lost. Lead Belly, though, rearranged the song and put together his ode to Irene, a love he could not have. 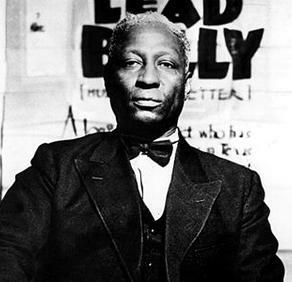 While in prison, Lead Belly recorded hours of music for the Lomax’s, and “Goodnight Irene” came out of those recordings. It did not gain popularity in Ledbetter’s lifetime, though, and instead became popular when The Weavers’ recorded it a few years after his death. The Weavers are perhaps most responsible for the folk boom of the 1950s and 60s that spawned artists like Bob Dylan and popularized music from folk pioneers like Woody Guthrie and Lead Belly. Clearly, the song has touched competent hands. And, in those hands, it became a staple of their respective performances. The difference between Lead Belly and The Weavers’ versions of “Goodnight Irene” is worth noting. The Weavers initially pick and chose from Lead Belly’s sometimes controversial lyric. For example, the morbidly humorous verse below was not included in the Weavers’ version. I can see why the last line of that verse could have sparked some ill-feelings in the time period. They, though, did keep the other suicidal verse (below) so to each his own, right? With that all being said, the song is a wonderful classic, and its eccentric lyric and infectious melody stick with us through the generations. Check out one of Lead Belly’s versions and a Weavers’ version of the song. Great song. I should some more Blues exploring.